This level have normal difficulty and you need to use good technique to complete this level. For this level you should try to break the twister and make colorbomb or break purple candy as you get chance. Combine colorbomb that you get with purple candy to reduce the order candies. 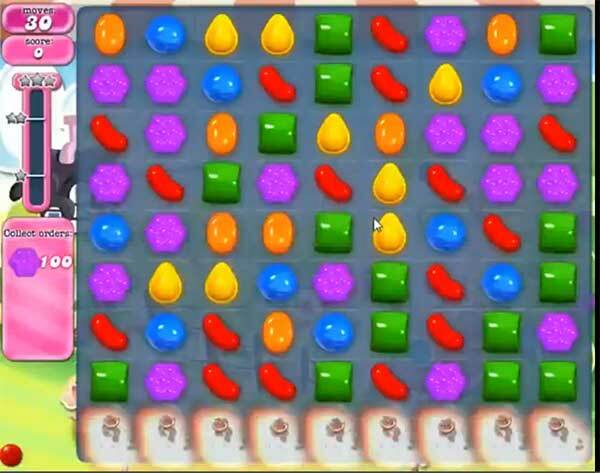 After play near to purple candies to break them or use wrapped candy with other special candy combo so more candies will appear that will help to break all purple candies order.